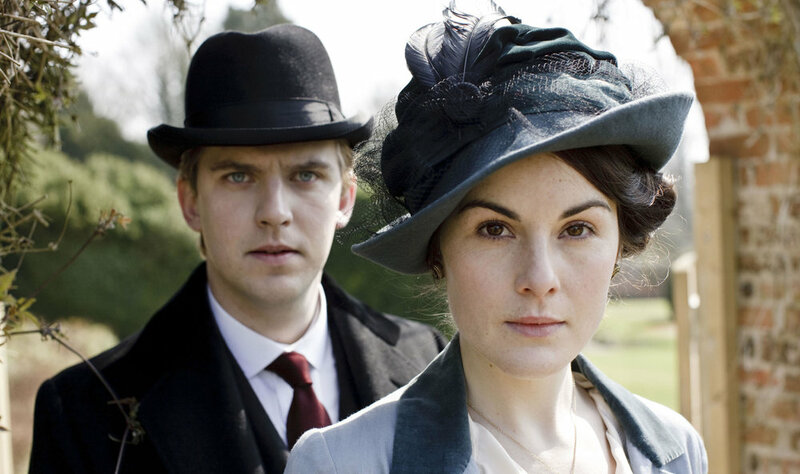 If you thought the death of dear cousin Matthew on Downton Abbey was sad (and frankly, it ruined many a Christmas!) then you should thank your lucky stars that the original plan was scrapped. While Matthew Crawley's death during a car crash, just days after beloved wife Mary gave birth to their first child was heartbreaking, it turns out that writer Julian Fellowes had first written a much sadder demise. Dan Stevens, who played Matthew, revealed to the Daily Mirror that the initial plan was for Matthew to have a heart-to-heart with his mother, and be run over by a lorry. He said: "I remember he had a line like: 'I've never been happier in my life.' And then he stepped off a curb and was hit by a grocery lorry. It was too shocking - it was insane. "You had people just running out of trailers saying: 'No way, no way!' And there was a sort of mass revolt that this was just too much." We're glad to hear that they toned it down - we don't think there are enough tissues in the world to have seen us through the alternative ending! More than 100 stately homes in Britain and Ireland were considered for the series location, although Highclere Castle in Hampshire was the first place the production team saw. According to Alastair Bruce, Downton’s historical advisor, the odd historical detail had to be amended in order for us to understand what’s going on. “If our characters spoke exactly like Twenties folk, the dialogue and tone of the voices would sound unfathomable to modern ears,” he says. The Grantham family’s living areas – hall, library, drawing room and dining room – were filmed on location at Highclere but after the first series their bedrooms were constructed at Ealing Studios where all ‘below stairs’ scenes are filmed. The bedroom sets were interchangeable; Robert’s dressing room doubled as the nursery and Tom Branson’s bedroom; Cora’s bedroom transformed into both Mary's and Edith’s. There were 17 people in the costume department including designers, seamstresses, and pattern cutters. While the team used some original garments from the Twenties, many vintage items had to be painstakingly restored. The team scoured vintage clothing sales both in the UK and in Paris to source antique beading, fabrics and lace. Although some props were hired, many are bought as they are used repeatedly. They are sourced from antique markets in Kempton Park, Dorking and Lincoln. Remember the new-fangled electric mixer that frightened the life out of Mrs Patmore in series four? It was an original 1919 mixer found on eBay USA and cost $99! The in-house art department produced everything from period product labels, to menus and parcels. The ‘upstairs’ actresses had to be in the make-up chair at 6.30am on the days they were on set. It takes, on average, an hour-and-a-half to do their hair and make-up. Shoes are specially made for the cast, as original Twenties footwear is difficult to come by, plus they tend to be too narrow for today’s feet! Many of the male actors require corrective make-up as the high collars of the period cause skin rashes. The rule on set is all the actresses must wear ‘total sunblock’, to maintain an authentic pale complexion. All the food on screen was real – although chicken was substituted for fish dishes as that tends to smell after a long day! Downton’s own home economist made everything in bulk so food could be constantly replenished and therefore kept looking fresh during long hours of filming. In the kitchen, just a couple of the hobs worked and it was only steam that comes out of the ovens.